Are you currently looking at homes that need some sprucing up? Fixer-uppers can mean great deals on your purchase price, but only if they don’t require a whole host of renovations and repairs before you can live in them. That’s why it is important to understand how much renovations cost before you make an offer on a property – a good piece of advice no matter the condition of your prospective home. If you’re wondering just how much renovations can cost and how extensive they need to be, this guide can help you ensure that you make the right deal for your budget – now and in the future. 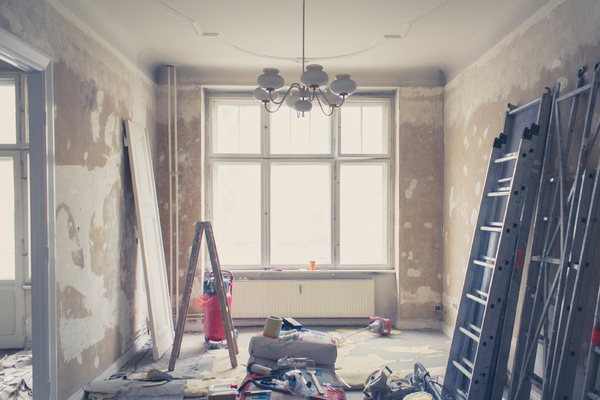 You might think minor renovations are something you can handle on your own, but underestimating the time, skill, and cost required can end up costing you more in the long run. Give yourself an accurate picture of what to expect by making a list of materials needed, estimating the time required for each part of your renovation, and the amount of physical exertion required to handle the task. Look at your estimates and ask yourself if you can really commit to taking on this project by yourself in a time frame that still allows you to live in and enjoy your new home. For example, even a simple task like fixing flooring in the kitchen can end up inconveniencing you if it takes you a couple weeks to complete. When it comes to figuring out the scope of your renovation, it’s crucial to talk to the people who know their stuff. Don’t listen to any estimates provided by the seller or seller’s agent – they’re likely not trying to mislead you, but they’re also not going to go the extra mile to make sure costs are completely accurate. A great way to get a more accurate idea of your potential costs is to actively participate in the home inspection, as you’ll be able to see the actual extent of needed repairs. You may be able to negotiate for further price drops or even for the seller to cover some of the renovations. Energy Efficiency: Older houses come with older appliances, worn insulation, cracked window panes and a whole host of other issues that make them less energy efficient. Improve these factors and you’ll have lower utility bills and a higher ROI. Kitchens: Wood floors are preferred by 82% of homeowners and will add a clean, modern look to an older kitchen. Also consider things like replacing the sink, which won’t cost much but adds to the function and look of your kitchen. Cosmetic Upgrades: If you’re looking for the biggest return, look to fixer-upper properties that really only need some cosmetic sprucing up. Paint, lighting fixtures, siding, and refinished cabinets are only a few of the easy fixes that can increase value. Don’t let the costs associated with renovations separate you from your dream home. With some preparation, planning, and financial help you can achieve your goals. Answer a few questions here and a home lending expert will contact you.